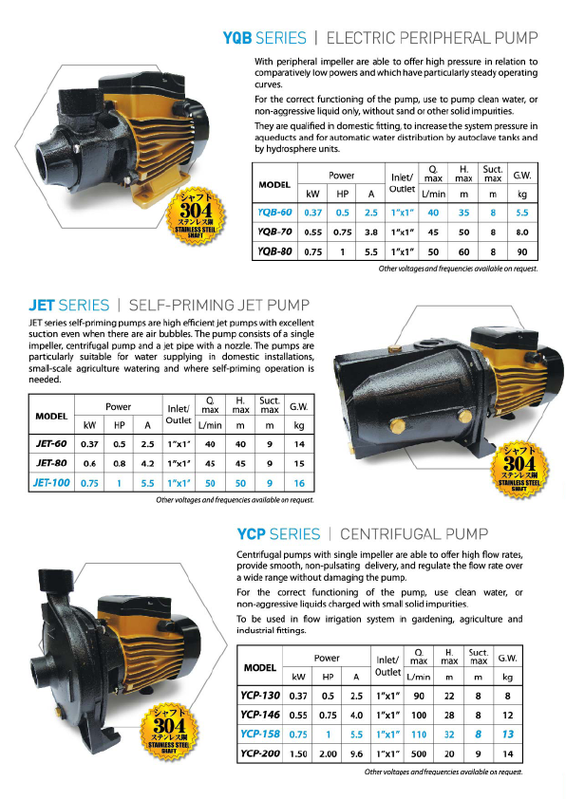 Centrifugal pumps with single impeller are able to offer high flow rates, provide smooth, non-pulsating delivery, and regulate the flow rate over a wide range without damaging the pump. 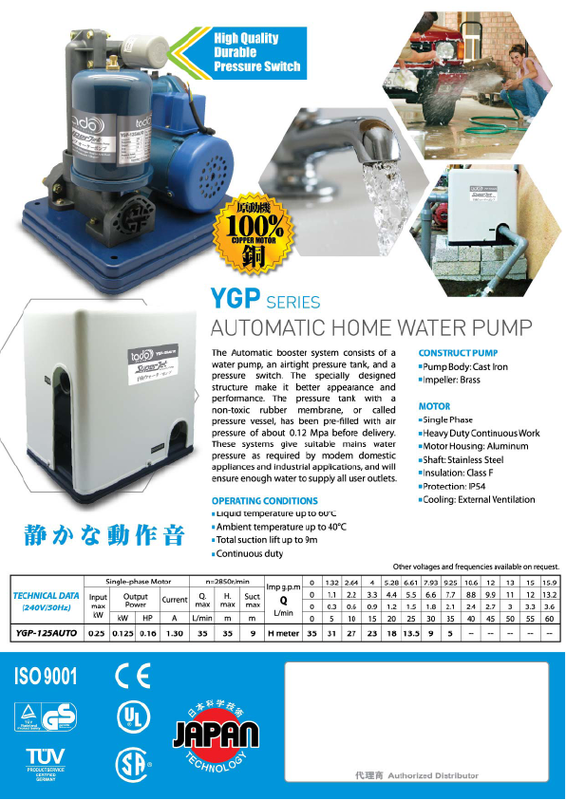 For the correct functioning of the pump, use clean water, or non-aggressive liquids charged with small solid impurities. To be used in flow irrigaton system in gardening, agriculture and industrial fittings. 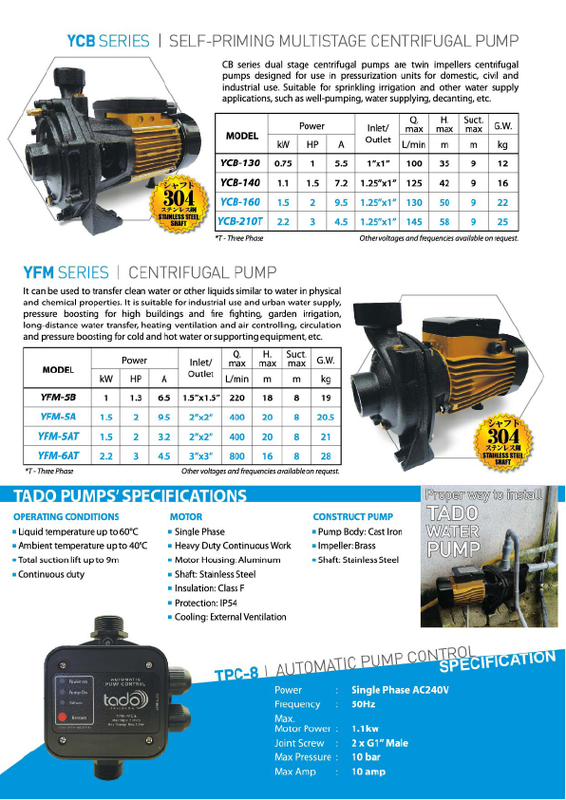 Click here to download TADO's pump catalogue page-2, page-3 and page-4.